1. What is your name and what is your organization? My name is Orock Thomas Eyong and my organization is United Action for Children. 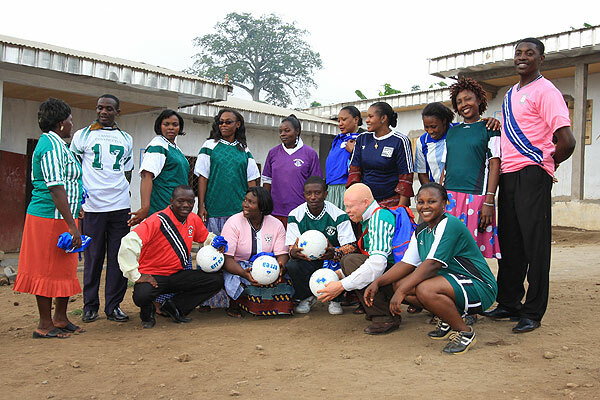 The name of our program is Community Sports for Development. actors of development in their respective communities. 3. Who is your favorite soccer team? Our most favorite team is Chelsea club of Britain. We would like to meet Drogba. We would like to meet, feel them and draw inspiration from them. 4. If you could meet any famous soccer person in the world, who would it be and why? We would like to meet Drogba. We would like to meet, feel them and draw inspiration from them. 5. What is the thing you are looking forward to most about working with Coaches Across Continents? What we are looking forward to most about working with Coaches Across Continents is to see in what way they could use their wonderful experience and expertise to enable us improve on the performance of our sports program. It is also to enable our program to become sustainable through the training of our local coaches. 1. What is your name and what is your organization? My name is John Kemoe Bengu (Founder/President of AVFAL). 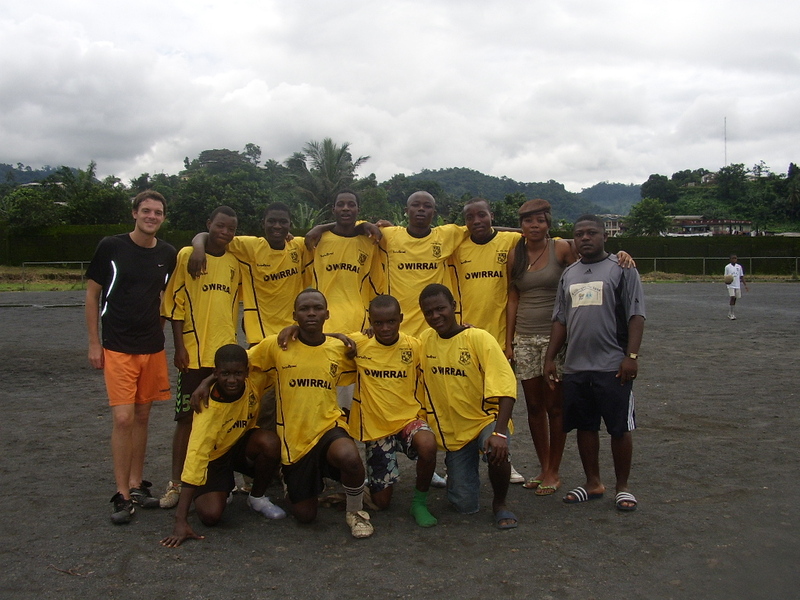 The organization is called the African Volunteer Football Academy for the Less Privileged (AVFAL). 2. What is the biggest message you try to teach your kids through the game of soccer? Our programs serve as tools to teach important values and life skills including self-confidence, teamwork, communication, inclusion, discipline, respect and fair play. Football also has psychological benefits such as reducing depression and improving concentration. Football and play improve health and well being, extend life expectancy and reduce the likelihood of several non-communicable diseases including heart disease. Football has a positive impact on child education as it improves a child’s ability to learn, increases concentration, attendance and overall achievement. 3. Who is your favorite soccer team? My favorite soccer teams are Real Madrid in Spain, Chelsea in England, Inter Milan in Italy, Ajax in Holland, OM in France and Bayern in Germany. 4. If you could meet any famous soccer person in the world, who would it be and why? Samuel Eto’o, Ronaldo, C. Ronaldo, Mersi, Didier Drogba as they have contributed to the development of soccer worldwide through their commitment and charitable work in helping children. 5. What is the thing you are looking forward to most about working with Coaches Across Continents? In the past we had several volunteer coaches from all over Europe but I believe our partnership with Coaches Across Continents is going to develop the skills of our coaches. Since we are not only looking at developing the skills of our coaches but also that of all coaches across the region, I think this partnership would have a long and lasting impact in developing the game of soccer in Cameroon.